The first Fuller Center homes built in the United States were in Shreveport’s Allendale community, a neighborhood so afflicted with crime and drugs that the police asked Millard Fuller not to work there as people’s safety could not be guaranteed. Naturally, true to Millard’s way, that’s exactly where he chose to begin work. More than 10 years and dozens of homes later, Allendale has seen a complete transformation and has become a neighborhood of choice. 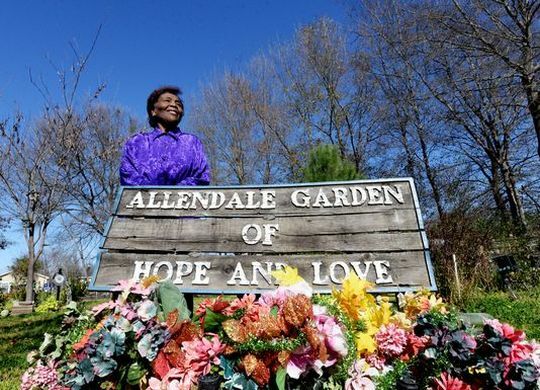 One of those who has witnessed that transformation up close is Rose Chaffold, who started the Allendale Garden of Hope and Love in the very spot where drug dealers once handled transactions.